Love is definitely in the air this month. 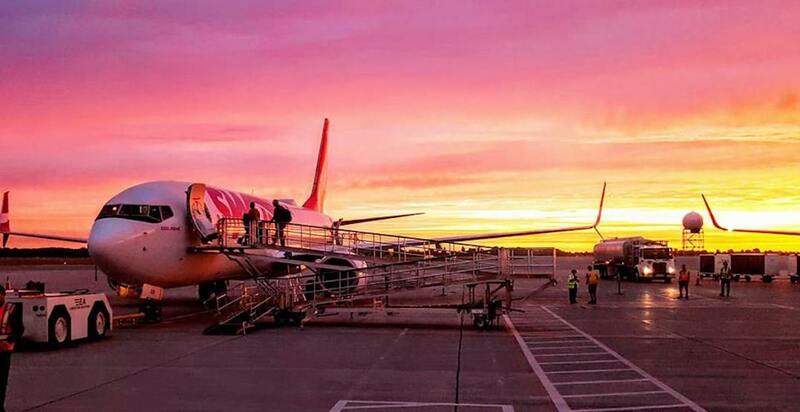 And to celebrate the day of love, Canada’s ultra-low-cost carrier, Swoop, is giving Canadians more reasons to pack their bags and book a flight. 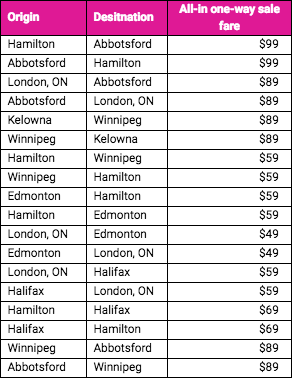 In true Swoop fashion, the airline is having a large sale on flights to a number of destinations, with one-way flights starting as low as $49. So if you’re looking for the ultimate last-minute Valentine’s Day gift, this might just be it. The sale takes flight this Tuesday, February 12 and lasts until Thursday, February 14 at 11:59 MST, or while supplies last. The sale is only on one-way tickets and travel dates are available between March 25 through June 24 and September 3 through October 26. There are no blackout dates. Keep in mind that Swoop is WestJet’s ultra-low-cost carrier (ULCC). This means you’re just paying for your seat and are limited to one personal item. This item must fit under the seat, and is limited to the following size: 41 cm x 15 cm x 33 cm (16″ x 6″ x 13″). Additional carry on or checked luggage will cost you, depending on where you purchase the added fees.